Belhassen Trabelsi sits outside the Immigration and Refugee Board offices, in Montreal, on May 7, 2013. An elusive Tunisian billionaire who disappeared from Canada as he was set to be deported to his homeland in 2016 resurfaced last week and is under arrest in France. Tunisian authorities say that after learning of Trabelsi’s arrest last week, they informed France – as they had previously told Canada – they want Trabelsi returned home. The billionaire businessman who dabbled in everything from cement production to television studios was a prominent figure during the 23-year rule of the once-dominant Ben Ali clan. Trabelsi’s sister Leila is married to Ben Ali, and the tycoon’s arrival in Montreal sparked protests from the local Tunisian community. An affidavit with the Federal Court at the time noted that Trabelsi’s lawyer said he was “no longer reachable,” and a ruling rejecting the stay request noted he didn’t show up to a meeting with the Canada Border Services Agency. 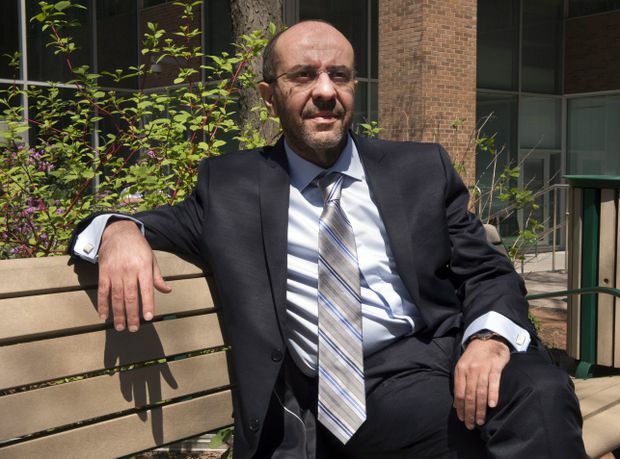 Trabelsi’s wife and their four children were granted asylum in Canada not long after Trabelsi’s disappearance, according to immigration lawyer Jean-Francois Bertrand, who has represented them previously. The Canadian Press wasn’t able to reach her Tuesday. In a 2008 diplomatic cable revealed by WikiLeaks in 2011, the U.S. embassy in Tunis called Mr. Ben Ali’s extended family a “quasi-Mafia” and singled out the “strong-arm tactics and flagrant abuse of the system” of the Trabelsi clan.